Our Ravelry group is a fun, friendly and supportive group for all that is good in our knitterly lives. 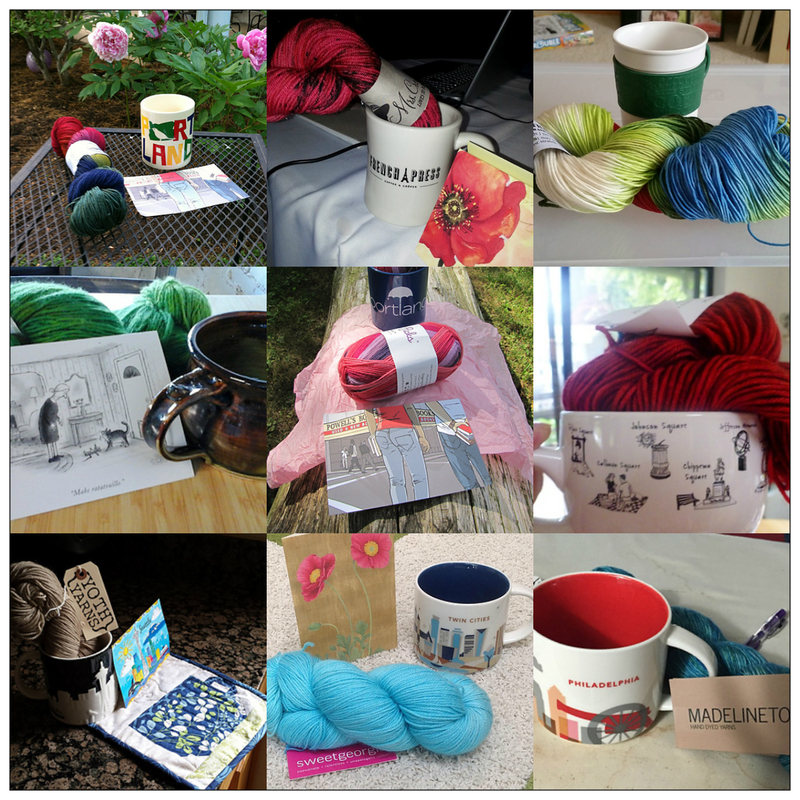 We chat a lot, we share about what we’re working on, and we have swaps, knit-a-longs and giveaways. The first swap was terrific, so we decided to have another, the Summer Spa Swap. Somewhere along the way, I had an idea: I would design a washcloth/dishcloth pattern inspired by the swap. Hmm…what to do? I pulled out my stitch dictionaries, thumbing through them and looking at some old favorite stitch patterns. I came across an edging stitch pattern that I had admired for some time, and after a bit of swatching and experimenting, I had a feasible design. 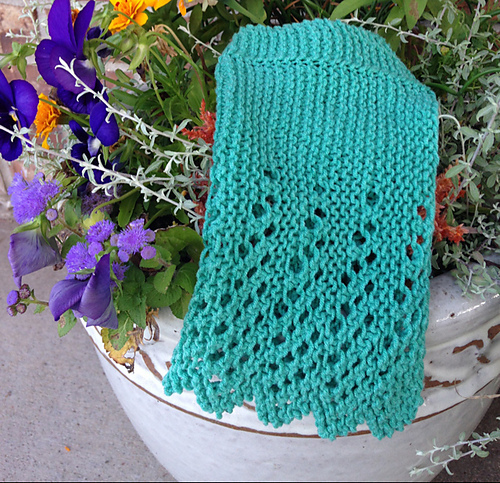 The name of the stitch pattern, “Godmother’s Edging,” led to the pattern name, “Fairy Godmother’s Spa Cloth.” I offered a coupon code for this pattern through the month of July, but my main motivation for offering the pattern was to dovetail with the swap. The pattern sort of took off – who knew dishcloths were so tremendously popular? – I did not! Mary, KnittinSisters on Ravelry, made this spa cloth. I love the color she chose, and she staged it beautifully! Speaking of spa experiences, in May I had the BEST spa experience ever. Winter skin was so dry, I decided to have a facial. It was a lovely facial, but best of all was the tip the aesthetician gave me after noting my dry skin and my telling her about my sensitive skin which is irritated even by “sensitive skin” moisturizers. She recommended that I try coconut oil, sort of as a night cream. This is the coconut oil you buy at the grocery store, at about $5.99 for a pint. My skin is so very happy now, and not irritated at all! I have more thoughts and questions for you about ideas for a “spa experience” knitting class, but will save those for another post. 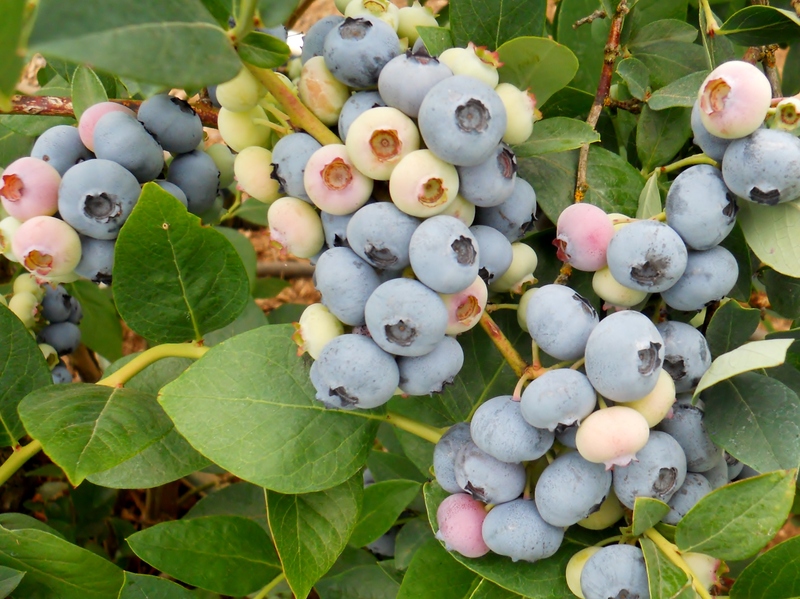 For today, I will close with this photo of amazing blueberries my friend Patty shared with me when a group of us gathered to knit and crochet at her place on Saturday. Beautiful and delicious! I’m having fun participating in your group, Carol. Believe me, I seldom do that on Ravelry. Wish I had made it for the first swap; that was a cool one. 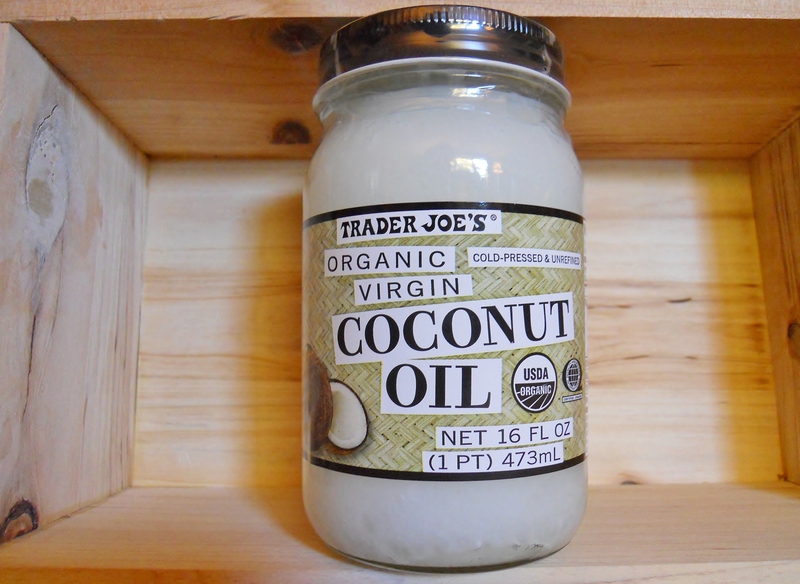 How do you use the coconut oil? Put it on and then wipe it off? My skin’s been adjusting some since our move. Thank you, Stef, I’m thrilled to hear that! I’m sorry you missed the first one, too. I just put the oil on before bed and let it absorb all night, but you could wipe it off as well. My skin really just drinks it in.